Food and technology have a rocky history, as anyone who has ever spilled coffee on a keyboard can attest, but the tandem has a bright future thanks to a slew of apps and services that are designed to help you eat better. Food on the Table saves you money at the grocery store. Your tech-tweaked eating habits can begin even before you head out to the grocery store. 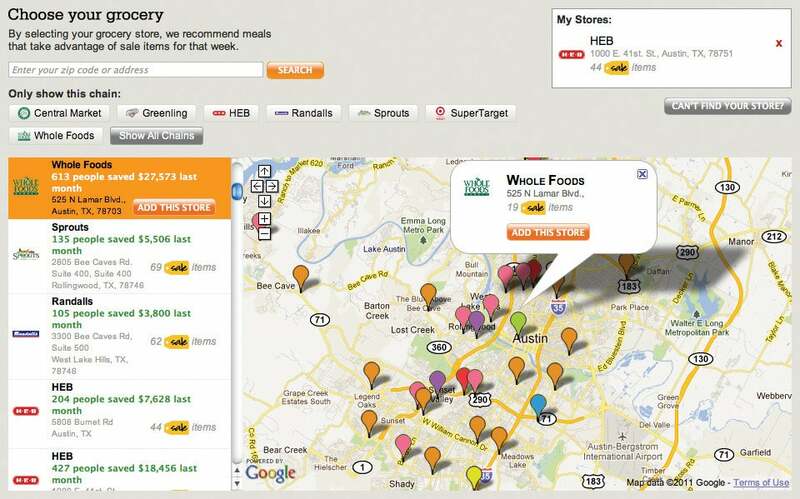 Start with Food on the Table, a website that figures out which stores in your area will save you the most money and then helps you build meal plans for the week. After you’ve selected a store, Food on the Table suggests recipes based on both your eating preferences and in-store sales, and creates a printable grocery list. While you’re at the store, try using Consumr, a website and iPhone app that offers instant user reviews of specific grocery items. Curious about the consensus on those weird new Lay’s Chicken & Waffles chips? Just scan the barcode or search by name, and you’ll find that opinions are decidedly mixed. You can also filter for keywords, such as gluten-free, view nutrition grades, and see alternative products that people liked better. Don’t feel like cooking? Find a nice restaurant nearby with Ness, an iOS app that attempts to be the Pandora of eating. At first, Ness makes recommendations based on what you’re in the mood for (casual or upscale, for example) and the time of day. Over time, the app learns what kinds of restaurants you like, and uses your eating history to make smarter suggestions. When you want to make a reservation, use OpenTable. With the iOS app (and the website), you can quickly look up places to eat and see available seating times—and plenty of local establishments tend to support it. The app also has its own collection of user reviews, ratings, and menu descriptions, making it a lifesaver for last-minute date nights. While enjoying your meal, don’t just slap a photo on Instagram. Instead, make a note of it with Evernote Food for Android and iOS. The app serves as a scrapbook of sorts for food photos, places, recipes, and interesting ingredients. As with everything else on Evernote, your notes sync online automatically, so you can view them from a computer or other device. CocktailFlow helps you pick the right drink. After all that, it’s time for a nightcap. CocktailFlow will help you select a drink on a variety of platforms (the basic Android app is free). The Windows 8 app (also free—you must be running Windows 8 to see the download link) is especially slick—allowing you to search by base drink, type, and color. The hardest part is remembering to stock up on bitters and olives. Next up: Alphabetical list of tools by category.